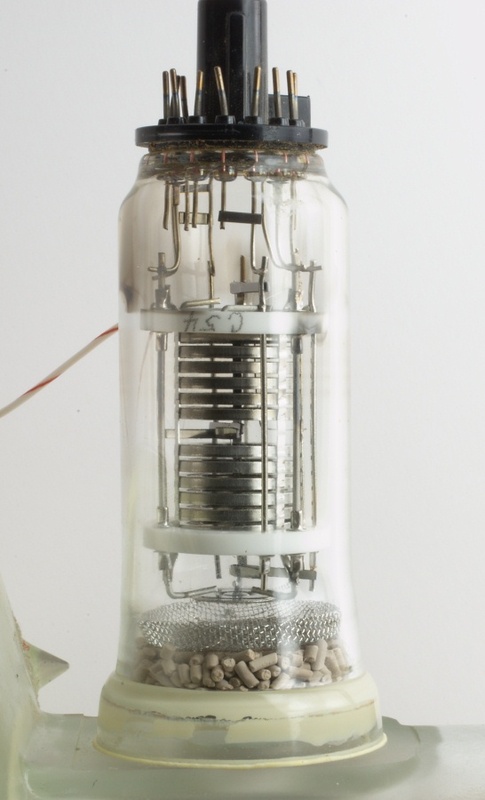 This is certainly the weirdest vacuum tube in my collection: it contains an electric motor, a spinning disc, and oil! 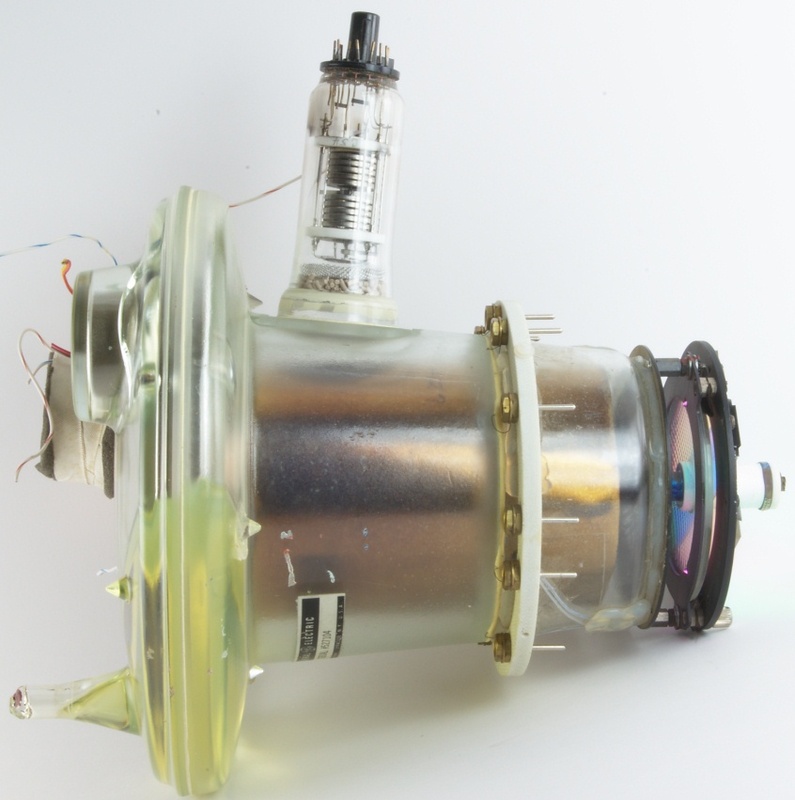 Shortly after World War II, GE Electronics Department General Manager, Dr. Baker bought the rights to a Swiss developed projection television system called Talaria. 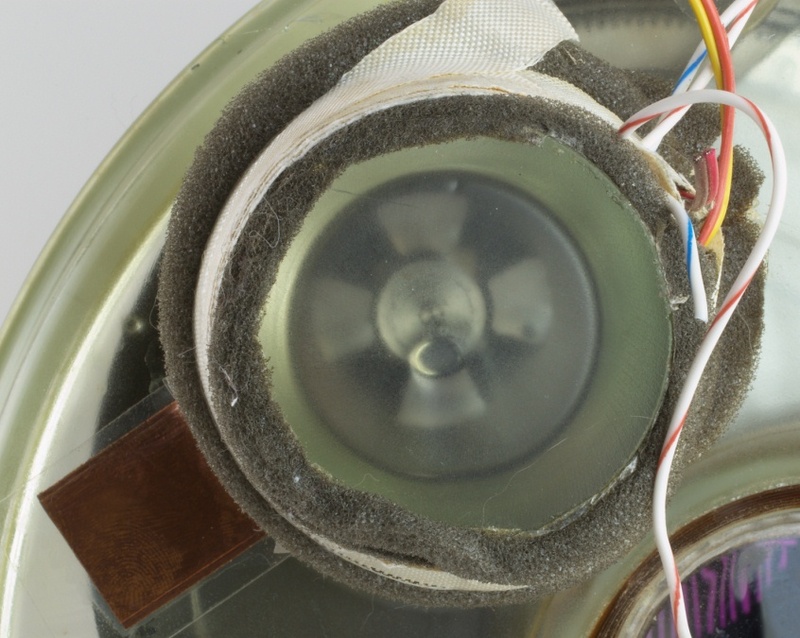 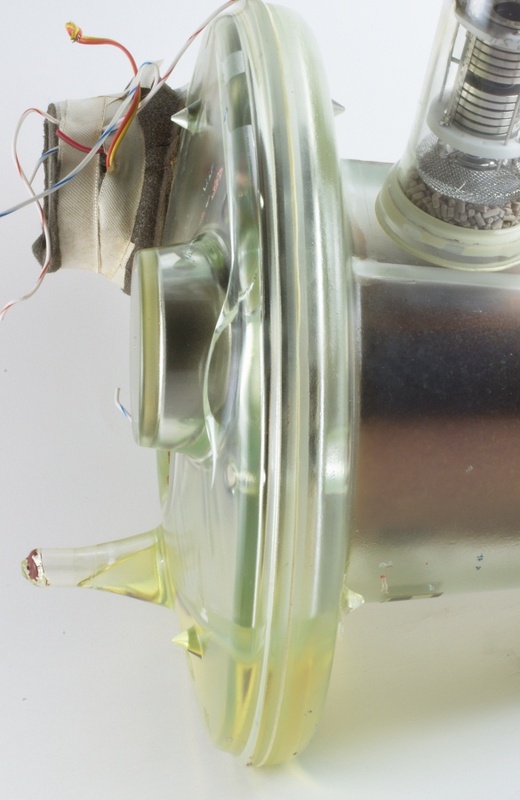 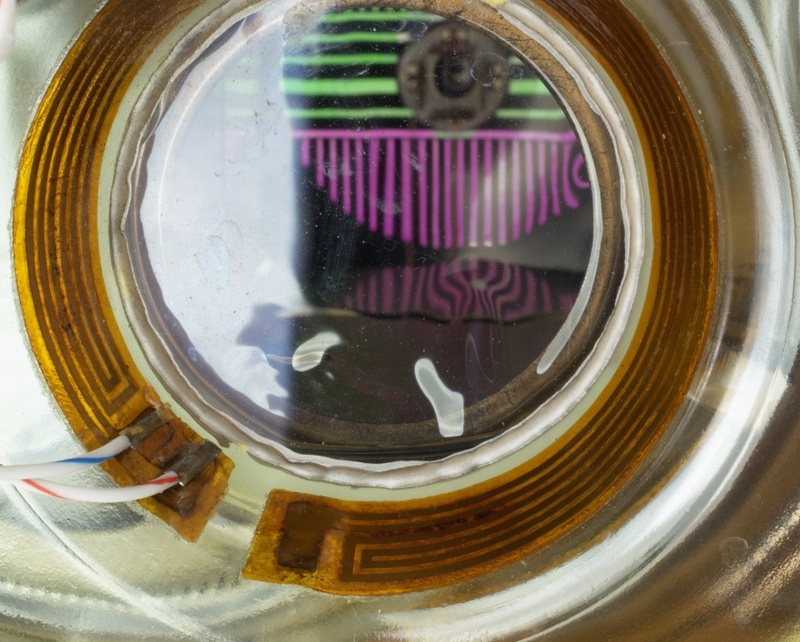 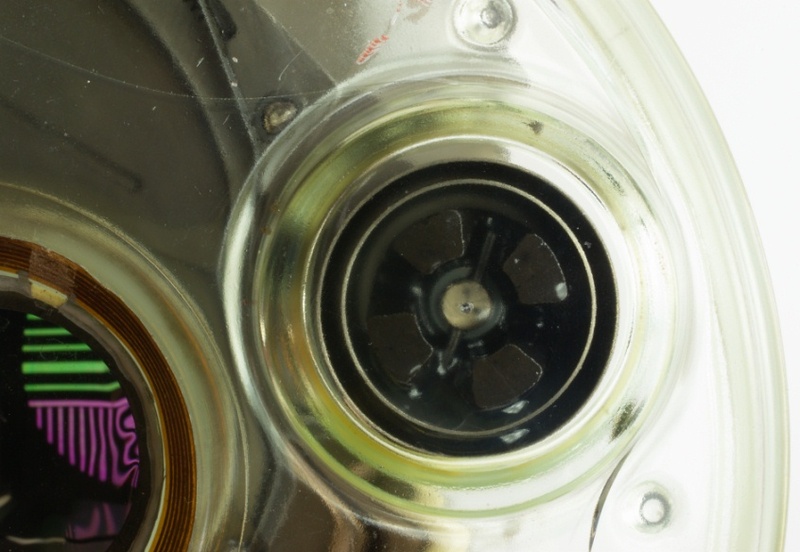 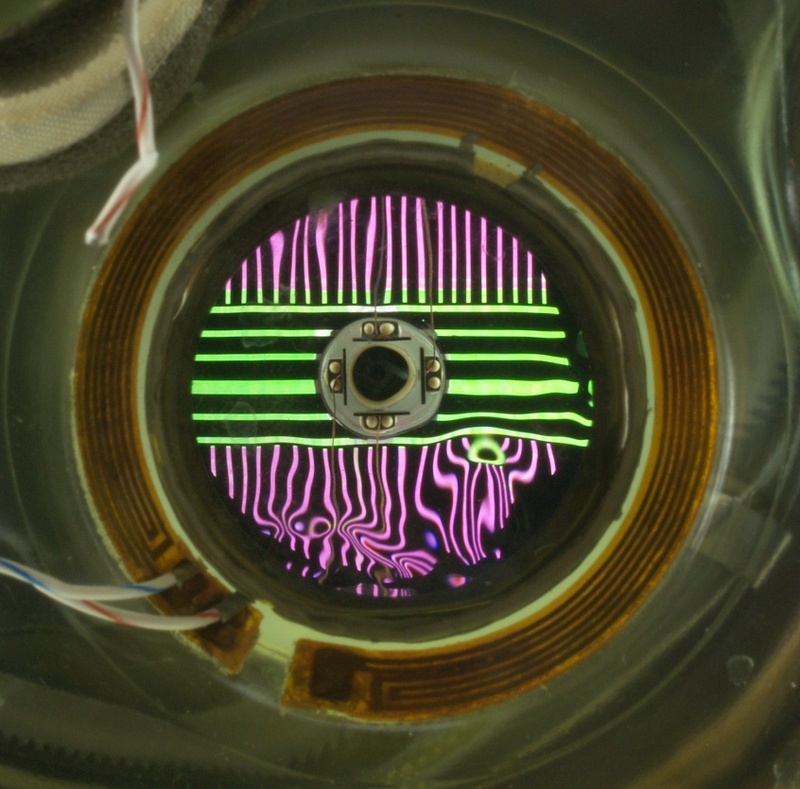 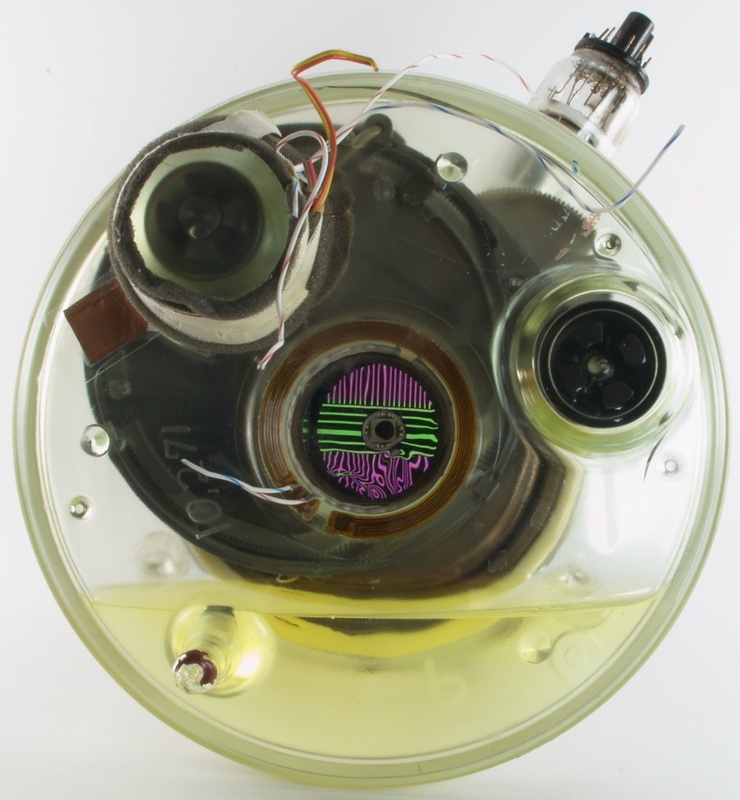 The Talaria approach made use of a rotating optically-flat glass disc with a thin film of oil squeegeed over a deposited transparent conductive coating. 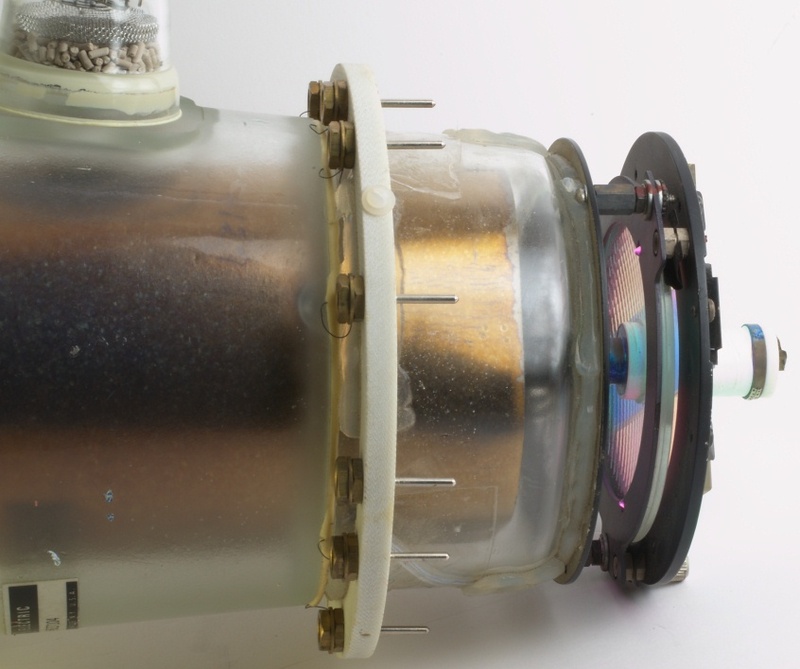 This film was then raster-scanned in a vacuum by an electron beam which was modulated by a video signal as in a standard television picture tube. 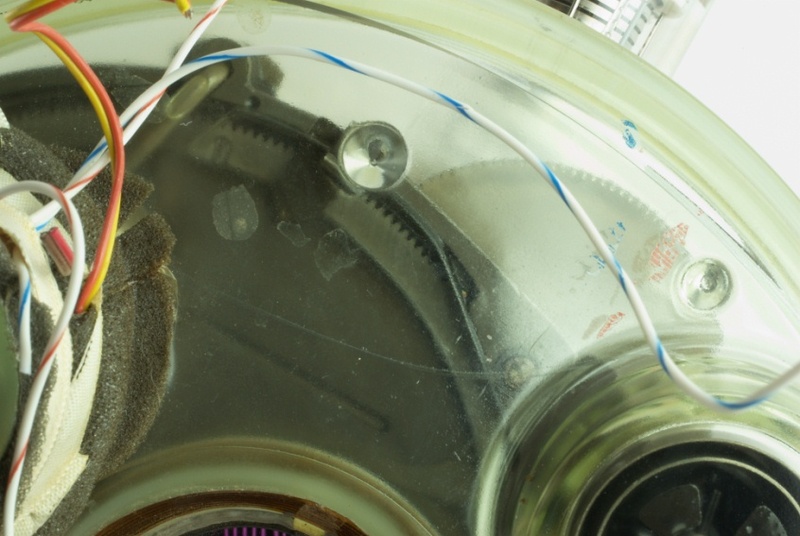 The electric field in the oil film between the deposited electrons and the conductive coating result in a decreased oil film thickness, the effect being more pronounced where a greater number of electrons were deposited. 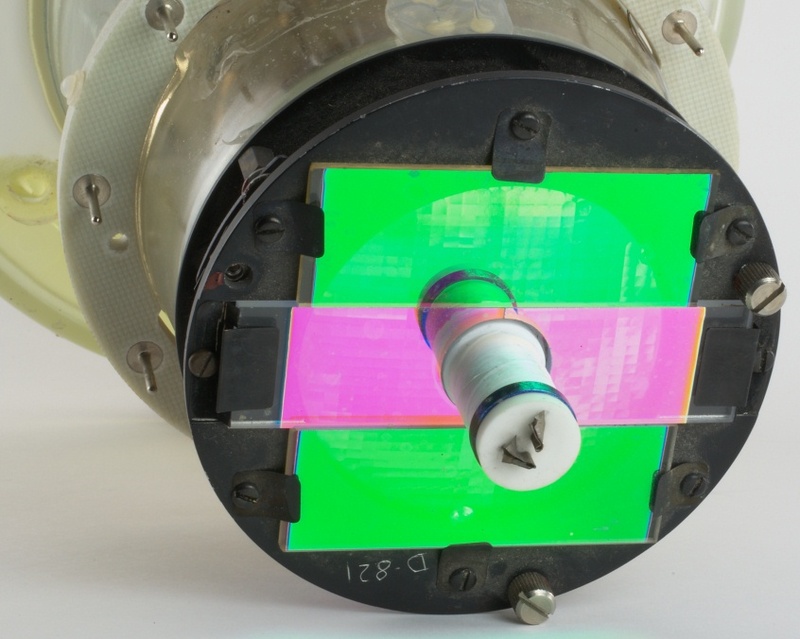 By mounting this disc in a Schlieren optical system and shining a light from a Xenon arc lamp through the scanned image on the oil film, the thickness variation on the oil film was converted into a variation of light intensity so as to project a bright television image on a screen. 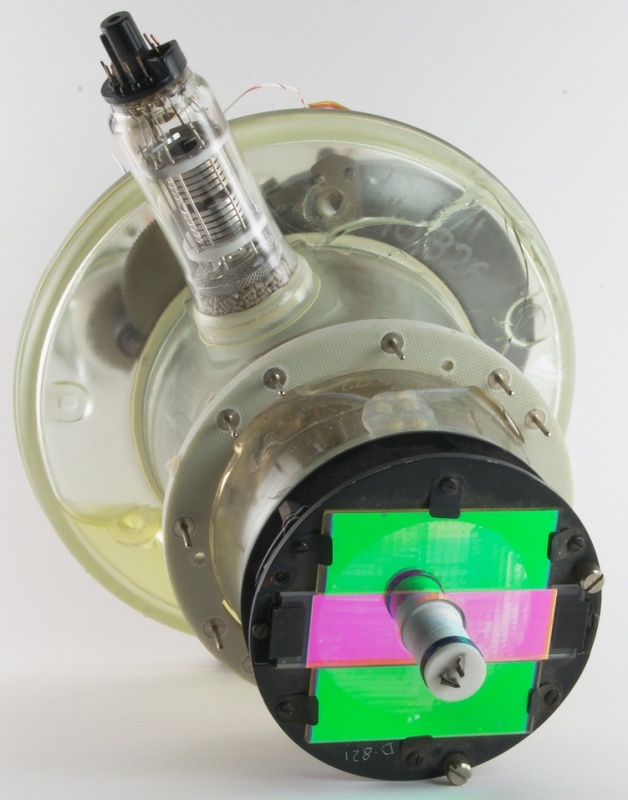 The properties of the oil used were adjusted so its image decayed in the time between television frames in the same manner as the luminescent decay of a picture tube phosphor. 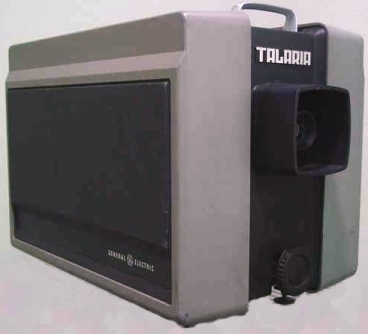 The Talaria principle was developed by a General Electric commercial business into a successful line of television projectors for theater or other large screen use.